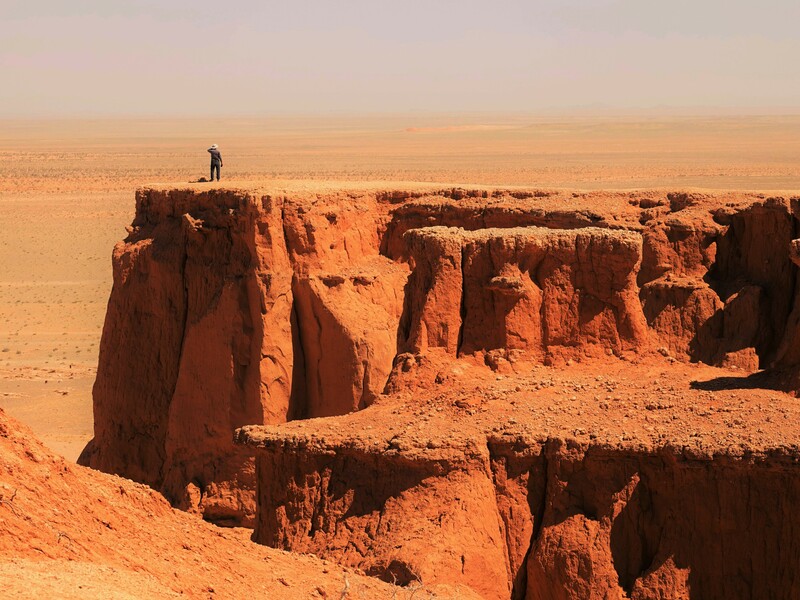 Most travelers will stop at the Flaming cliffs in the Mongolian Gobi to see the great rock formations that yielded world famous dinosaur finds. 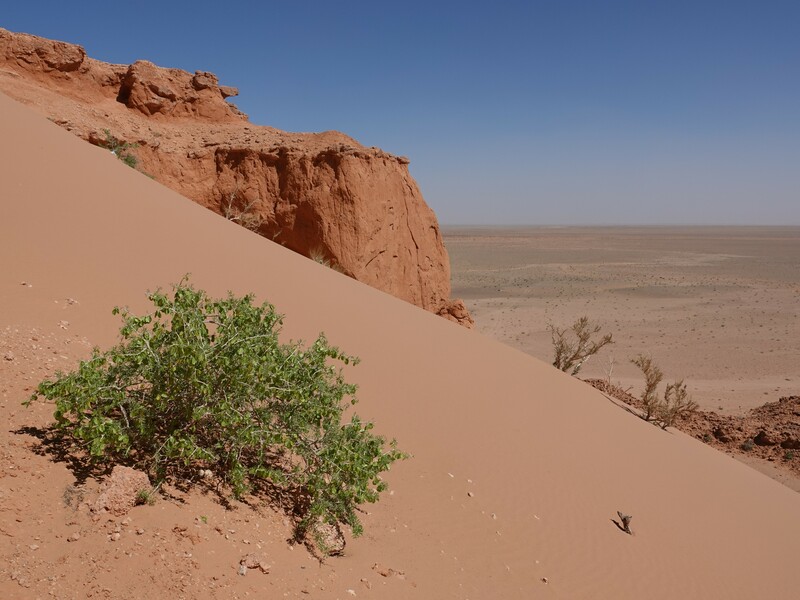 Baynzag, or the Flaming Cliffs as the location is often referred to, is one of the iconic sites of the Mongolian Gobi, It is best visited later in the day when the cliffs glow in the evening sun. 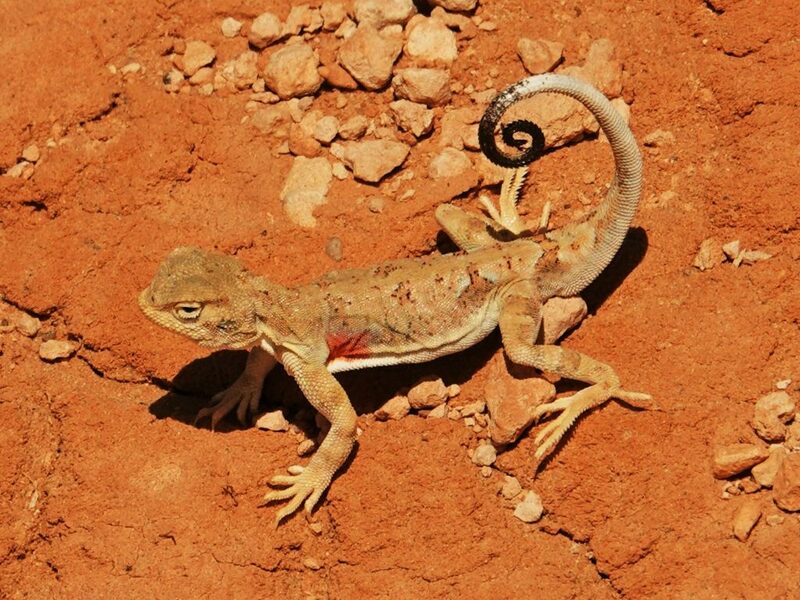 While this is one of the world’s most significant sites for paleontology that yielded the first finds of dinosaur eggs, and the first skull of Protoceratops, one should not miss the living reptiles in this ecosystem today. Take time to explore in the ravines carved by erosion into the red rock plateaus, or take a walk along the lower slopes where some desert vegetation is growing. Here you will find several species of today’s reptile class, though much smaller than their big and famous dinosaur relatives of the Cretaceous age. 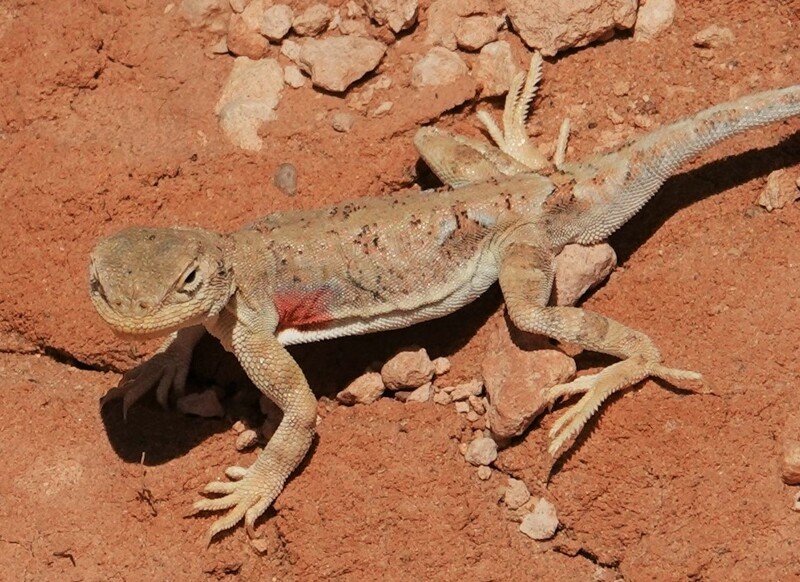 The most common one is the Variegated Toadhead Agama (Phrynocephalus versicolor). 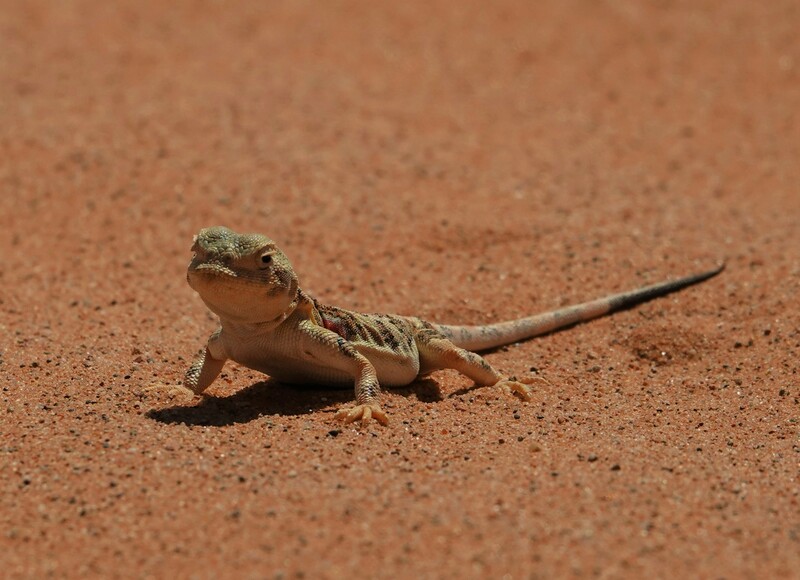 It’s great to watch, though you might suddenly lose sight of this little lizard as it blends in perfectly with the sand and gravel in the background. 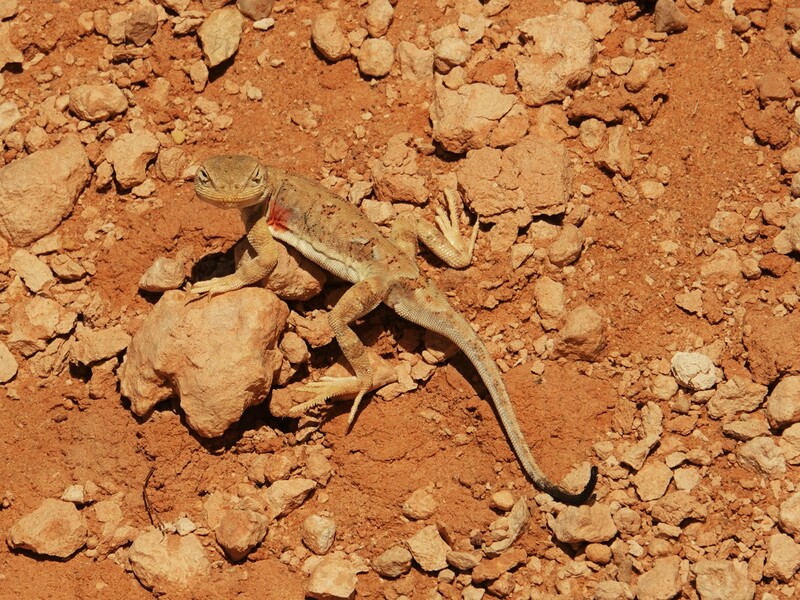 Like chameleons, agamas can change their color to camouflage themselves, and they are doing a great job! Evolution has equipped them with great features for desert life. 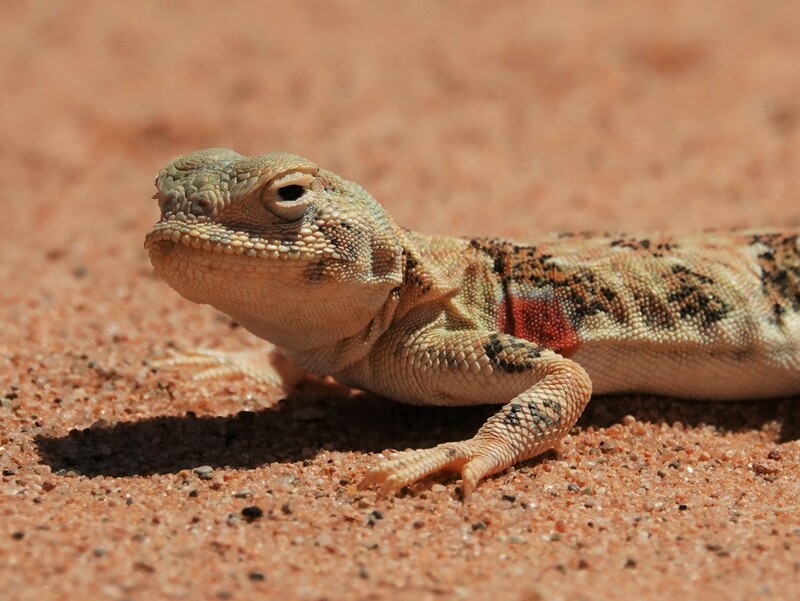 Scales around their eyes keep sand out, and their fringed toes enable them to walk on loose sand without sinking into the substrate. The toadhead agama is very photogenic, and often will stop and remain motionless to give you plenty of time to focus and take photographs. 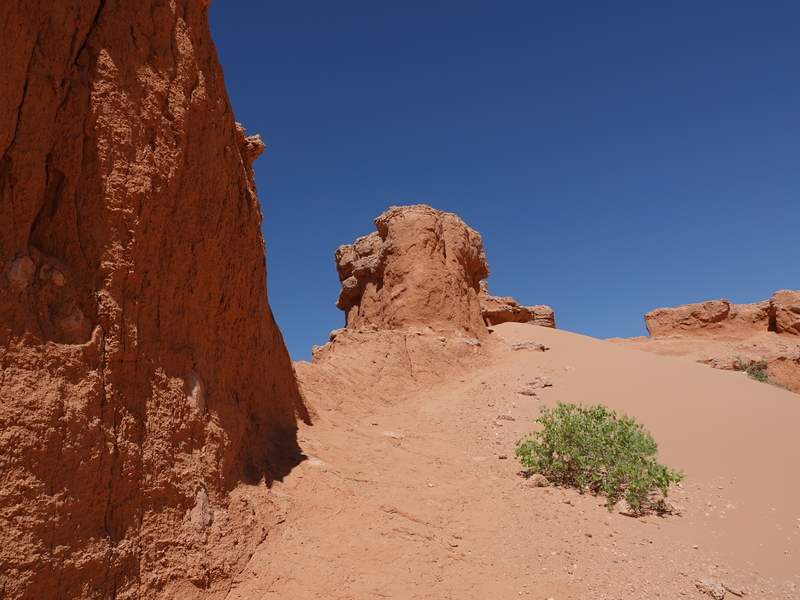 It is really worthwhile to take enough time at the Flaming Cliffs, to take in the views from the top of the rock formations, but also to saunter around to notice the plant and animal life here. 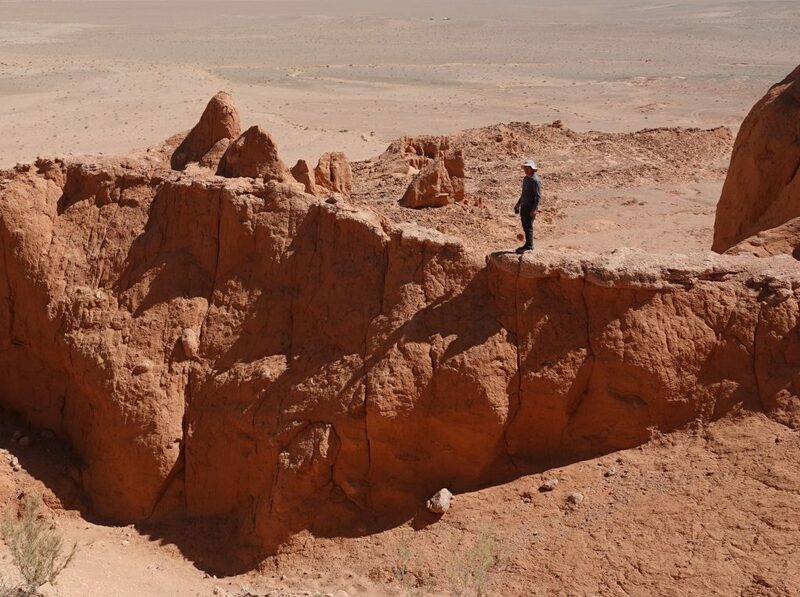 Paleontological research is ongoing at Baynzag and at other sites in the Gobi, by Mongolian researchers and in collaboration with international scientists. A Baynzag Park and visitor center are being planned to protect this important site and educate visitors about its significance for our understanding of the evolution of reptiles and birds. 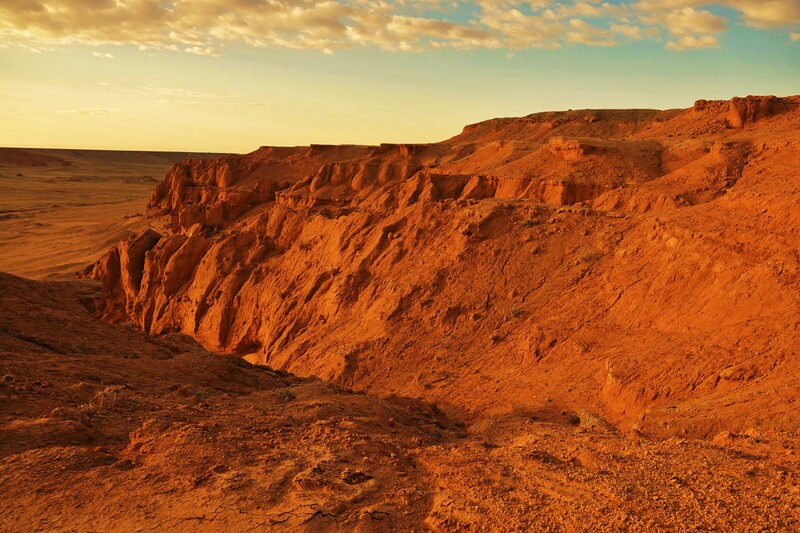 The site was named Flaming Cliffs by Roy Chapman Andrews, leader of several expeditions of the American Museum of Natural History in the early twentieth century. These expeditions were documented in now legendary film footage, including that of Dodge motor cars making their way through the Gobi desert. 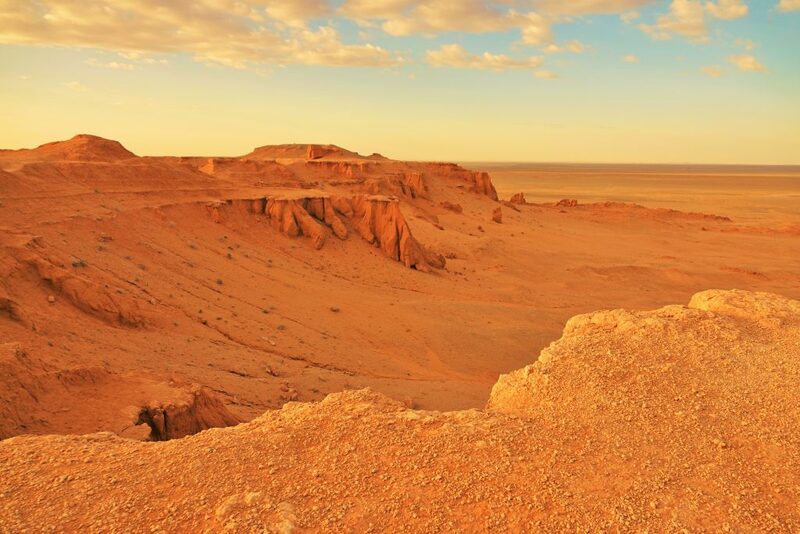 Are you inspired to explore Mongolia’s Gobi? 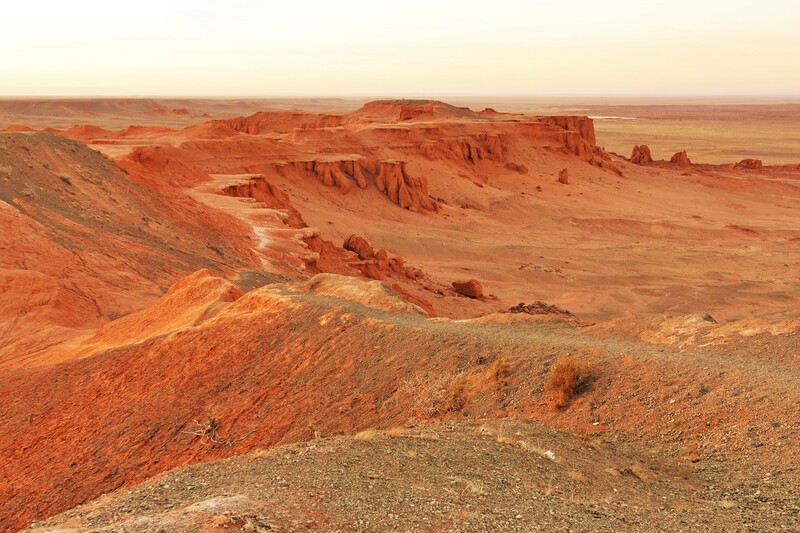 The Flaming Cliffs are just one of the amazing places to visit here.